Why do some relationships sour and end? What principles can we glean from the Bible to preserve or heal our relationships with family and friends? The state of human relationships today is generally poor. No matter the level—whether head of state to head of state, nation to nation or person to person—there are many examples of strained and broken relationships. In the United States, it has sadly become routine to hear of disgruntled employees shooting their supervisors and fellow employees. And then there are the mass shootings at schools, shopping centers and movie theaters orchestrated by angry and mentally disturbed individuals. Internationally, bullying, stalking, kidnapping and street violence are all symptoms of our damaged world. At home, in the intimate personal relationships found in marriage, many husbands and wives struggle to get along. In most Western countries about 50 percent of marriages end in divorce, and millions of other couples (many with children) break up without ever making a commitment of marriage. Since we humans have had plenty of experience with bad relationships, it is actually quite easy to document and even predict the progressive steps that generally occur as relationships go bad. At the earliest stages of conflict, little disagreements are glossed over or ignored. Eventually something happens that evokes anger and frustration, which moves the relationship into the conflict stage. As the conflict progresses, both parties experience hostile feelings and negative communication from the other. At this stage, many share their side of the disagreement with others and look for consolation from them. The relationship comes to an end after one or both individuals decide that the pain and dissatisfaction are no longer worth continuing the relationship. Although this progression can be stopped at any stage, too often the process runs its course to the end. For a more detailed explanation of how marriage relationships fail, see the sidebar “The Process of Conflict.” Although this sidebar describes what happens as marriages fail, the process is similar in the breakdown of other types of relationships. Key No. 1: Don’t raise your voice. The Bible says that a “soft answer turns away wrath” (Proverbs 15:1). When discussions turn into yelling matches, people’s opinions are not changed. Instead, they are hardened and people feel justified in their own position because of the other person’s behavior. Key No. 2: Always tell the truth. Although it has become common for people to routinely lie, if your friend realizes that you don’t always speak the truth, he or she will never know whether to believe what you say. Relationships are built on trust; and when one party lies, trust is undermined. Focusing on this point, Paul told the Ephesians to put “away lying, ‘Let each one of you speak truth with his neighbor’” (Ephesians 4:25). Key No. 3: Always show respect. While we may not appreciate or agree with someone’s opinions or actions, we need to show respect to the person. We may not understand all that went into the decision, or the person may have simply made a mistake. As Paul wrote, “Speak evil of no one” (Titus 3:2). Key No. 4: Strive to be a gentle, peaceful person. While some people mistakenly believe such attributes are signs of weakness, they are actually keys to better relationships and reflections of godliness. Paul admonishes us: “If it is possible, as much as depends on you, live peaceably with all men” (Romans 12:18). James adds: “The wisdom that is from above is first pure, then peaceable, gentle, willing to yield, full of mercy and good fruits, without partiality and without hypocrisy” (James 3:17). Key No. 5: Think before you speak. While it is tempting to quickly respond to slights and false accusations, we will do well to carefully consider our words before we speak. Will what we say help resolve the issue or only deepen a wound? Once uttered, words cannot be retracted. Even though we may apologize, the other person is still likely to remember what we said. As James wrote: “Let every man be swift to hear, slow to speak, slow to wrath” (James 1:19). Key No. 6: Be quick to apologize and to accept an apology. Everyone makes mistakes, so be quick to apologize when you learn that you have offended someone or done something wrong. We also need to readily accept apologies when others admit they made a mistake and apologize to us. Expounding upon this expectation, Christ said, “For if you forgive men their trespasses, your heavenly Father will also forgive you. But if you do not forgive men their trespasses, neither will your Father forgive your trespasses” (Matthew 6:14-15). Key No. 7: Use God’s Holy Spirit. The evidence of God’s Spirit working within us is “love, joy, peace, longsuffering, kindness, goodness, faithfulness, gentleness, self-control” (Galatians 5:22-23). The Holy Spirit also helps us to be sound-minded and spiritually mature (2 Timothy 1:7). If we truly “walk in the Spirit” (Galatians 5:16), these traits will characterize our actions and communication. These traits will also endear us to our friends. Growing in that kind of love leads to the kind of healthy, beautiful relationships that God wants us to have! Other passages that can help us develop godly relationships include Philippians 2:1-5 and Romans 12:9-21. Study these passages and ask for God’s help to apply them. Put these keys to work in your relationships and watch the positive results unfold. God’s timeless principles always bear good fruit. You will find more resources about improving marriage and other relationships in the “Relationships” section of the LifeHopeandTruth.com website. Our relationships with family and friends are just a microcosm of the relationships on the local, national and international scene. The same principles that govern personal relationships also impact international relations that can lead to conflict and even war. For example, it is no secret that the relationship between U.S. President Obama and Russian President Putin has been rather rocky and tumultuous. Last summer the tension in their relationship spilled into public view as the two jousted over National Security Agency leaker Edward Snowden and how to respond to the use of chemical weapons in Syria. The U.S. president accused his counterpart of sliding back toward the suspicions and mistrust of the Cold War era and souring the relationship between the two nations. He also condemned Russia’s position on Syria and human rights. In response, President Putin charged that the U.S. acts hypocritically, doesn’t respect Russia and is acting like a bully on the world scene. As for relationships between nations, the United States and Russia are far from the only countries experiencing tensions. In the Middle East, some Arab nations say their goal is to destroy the State of Israel, while that nation desperately wants to be recognized as a legitimate state and allowed to live in peace. Israeli citizens currently live in fear that Iran will acquire nuclear weapons and use them against Israel. A coalition of nations in the United Nations has been systematically stymied by Iran for years as that nation continues to advance its nuclear technology, presumably for military purposes, in spite of repeated requests and demands that it forgo this ambition. Although there are tentative indications of a peaceful resolution through the new Iranian president, many fear this impasse will not end peacefully. Turning to politics, the picture isn’t any better. The civil war in Syria has now claimed over 110,000 lives, and the Assad regime has been accused of using chemical weapons against its own citizens. In Egypt emotions are highly inflamed both for and against deposed President Mohammed Morsi. Although his supporters—mainly the Muslim Brotherhood—want him returned to power, the Egyptian military forcibly removed him from office and an Egyptian court issued an injunction dissolving the Muslim Brotherhood and confiscating its assets. In the United States, citizens have been frustrated when Congress and the president cannot work together to fund the government and responsibly manage the nation’s borrowing. Instead of sitting down for face-to-face negotiations to find solutions to their differences, all parties seem to prefer going to the media to bad-mouth their opponents. As of this writing, neither the U.S. president nor Congress had an approval rating by the American public above 50 percent. To find solutions to these conflicts and damaged relationships on the international scene, we must first learn to deal with relationship problems on the personal level. When people around the world learn and apply the biblical principles in this article, relationships will improve on every level. 1. The Latent Stage: Negative feelings are not brought out in the open and discussed, and frustration and dissatisfaction increase. 2. The Trigger Stage: The triggering event is often small and seemingly unrelated to the outpouring of anger and frustration that come out. 3. The Clash Stage: Pent-up frustrations and irritations pour out. This is often a surprise to the other partner who didn’t realize the depth of the feelings. This clash can lead to resolution, avoidance or simply continuing in a state of conflict. 4. The Increase-of-Conflict Stage: The conflict begins to spread to other areas of life. Hostile criticisms and disparaging remarks cause anger and bitterness to grow. Each person feels rejected and threatened. There is less willingness to accept blame and more willingness to blame the other person. In some cases, one partner will try to make himself or herself feel more adequate by tearing down the other. 5. 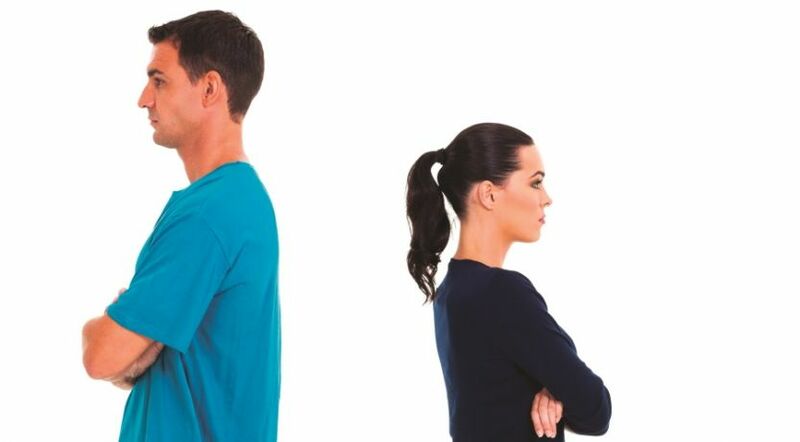 The Search-for-Allies Stage: Each partner tries to find allies who will support him or her and agree that the other person is the cause of the problem. Some couples use their children as allies in order to hurt one another. Intimate problems are discussed with friends and relatives as each one seeks allies. The two become more hostile to each other and less willing to compromise. 6. The Search-for-Alternate-Sources-of-Gratification Stage: If the conflict continues, the hostility becomes so great and the satisfaction so small that one or both partners may begin to look for emotional fulfillment outside of the relationship. Some seek fulfillment through children, work, hobbies, community service, etc. Married couples may fall into or seek extramarital relationships. The emotional investment in the relationship is greatly reduced. 7. The Dissolution Stage: The last stage of an unresolved conflict is the breakup of the relationship. One or both partners reach the point where they are unwilling to continue to put up with the situation. Some mistakenly believe that they don’t have any choice regarding their friends and that they must preserve all relationships—no matter how bad they might be. Quite to the contrary, the Bible notes that “the righteous should choose his friends carefully” (Proverbs 12:26). The person refuses to accept any responsibility for the problem and refuses to work with you to resolve the conflict (Matthew 18:15-17). The person persistently acts in an ungodly, illegal or unethical way (Proverbs 12:26). The person threatens you, engages in any form of abuse or tells you to leave (Psalm 120:7; Proverbs 22:24).